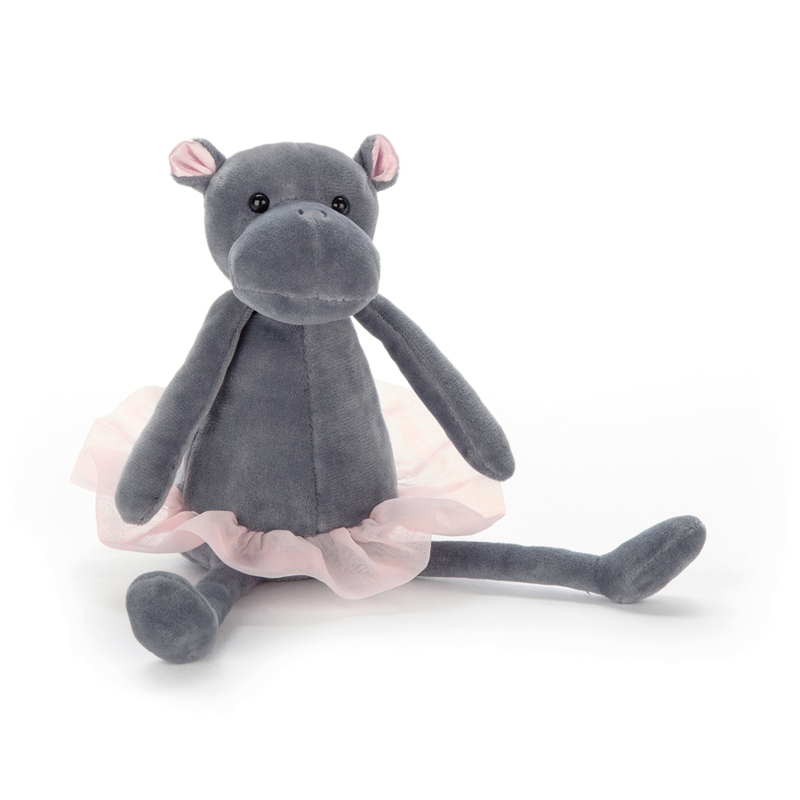 Darcey the dancing hippo is ready to prance around the party. She has velvety soft grey fur and wears a sweet pink tutu. Her big mouth and chubby tummy makes her perfect for hugs. She has a weighted bum and long legs that dangle over the end of a table allowing her to sit beautifully on display.